China will shortly become the World's largest producer of carbon emissions from coal fired power generation, industrial and domestic plants, surpassing figures for the USA. 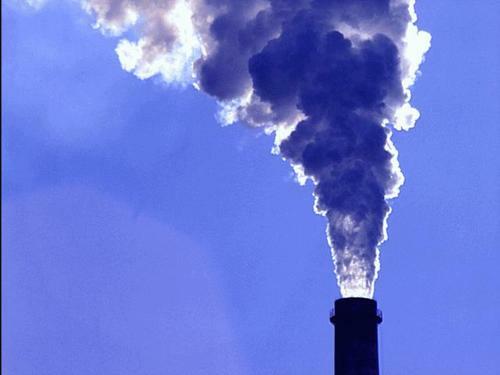 This has raised expectations in the developed nations that China needs to initiate a major programme of carbon capture and storage (CCS) if global targets to reduce emissions of greenhouse gases are to be met. Large scale deployment of the technology will put a significant strain on the nation's energy supplies because the efficiency losses and parasitic loads associated with a carbon capture project would typically increase the amount of fuel consumed by a conventional power plant by 20% or more. The increase in coal consumption would further stretch (possibly to breaking point) the system needed to transport coal from the main basins situated inland and to the North of the country (Shanxi and Inner Mongolia) to power plants and urban centres located closer to the coast and in the South. For macro-economic development, both government and the populace require a reliable and cheap supply of electricity. Source: CARMA.org tool on Google Earth The location of the top chinese power generation plants can be found on a website managed by CARMA. Although the level of mapping is not nearly as extensive as that has been produced to track sources of emissions from plants in the USA and Europe (see earlier posts), it seems inevitable that the amount of information available will grow, not withstanding the Chinese authorities probable reluctance to publish such data. Available material can also accessed via an application that CARMA has developed for use on Google Earth. China is critically dependent on coal as a source of energy, more so than any other major economy. Apart from its own indigenous supplies, it is also needs to import coal from regions that include Australia and in the future, Eastern Siberia. Both Berkeley and Stanford report on China's interest to participate in the development of the technology to avoid future dependence on Western know-how, but any major roll-out of carbon capture would need to be financed by the developed nations and involve a major change to the size of projects handled and procedures used to transfer funds via the Clean Development Mechanism (CDM). It seems unlikely that there will be either the political will or the money to fund the scale of investment required. Phasing out obsolescent and inefficient power generation plant. Improving the efficiency of systems used to transmit generated power. Expanding nuclear and the renewable energy sector. The Chinese will also address bottlenecks in the coal transport system, but the developed countries will have to think very hard about how much they are willing to pay to assist a major program of carbon capture and storage. It is likely that the life cycle abatement costs of energy efficiency measures will bring greater benefit in the shorter term.